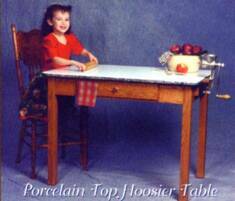 We're continuing a Hoosier Tradition with our Hoosier Porcelain Top Table. 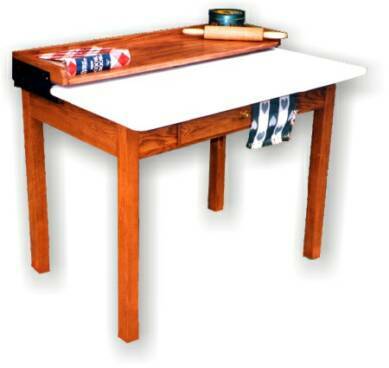 There's no better surface for rolling out a wonderful pie crust! Just ask Grandma. 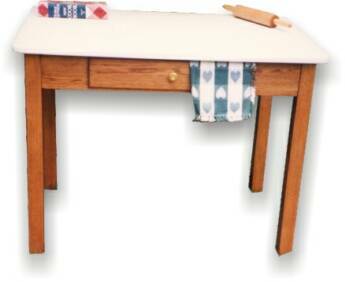 Our Hoosier table features an authentic porcelain top and solid oak construction. A spacious center drawer makes finding what you need when you need it quick and easy. All our porcelain tops are available in all white or white with blue granite edge. 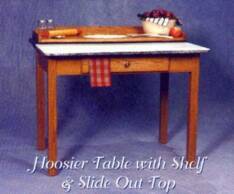 Options include a built in shelf with slide out porcelain to for more work surface.